A trip to Boca Raton wouldn’t be complete without a stop at one of the beautiful Boca Raton Beaches. The two beaches below are among the most popular spots for visitors and locals alike. If you plan on visiting the beautiful Boca Raton Beaches, your first choice should be Red Reef Park. This oceanfront park comprises 67 acres along route A1A in the heart of Boca Raton. The park features a pristine beach and a long list of amenities including a picnic area where you can take in the natural scenery as you relax by the sea. The picnic area is equipped with outdoor grills, picnic tables, and restrooms. The Gumbo Limbo Nature Center is situated at the North end of the park. This interactive facility conducts nature related programs throughout the year. Some examples include the Coral Reef Awareness Week, a celebration of the incredible Coral Reefs in our oceans. Visitors will wade through the lagoon in the “Seining the Lagoon” program, a hands-on event where participants catch and release fish, crabs & shrimp. How about lunch from the Conch Shack or the food trucks that frequent the park every Saturday in the month of July. One of the highlights of Red Reef Park is the Red Reef Executive Golf Course. There’s nothing quite like a round of golf at an oceanfront facility while taking in spectacular, panoramic views of the ocean and the intracoastal waterway. 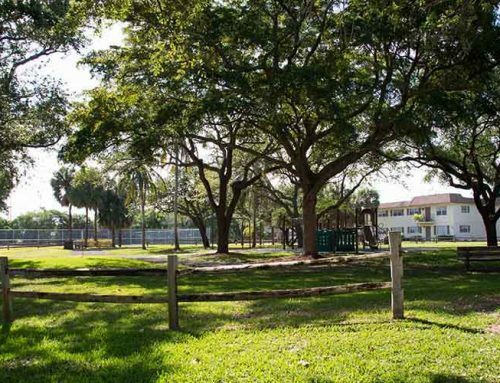 This beautiful park is home to one of the most scenic of all Boca Raton Beaches. The 11-acre beach lies along Ocean Boulevard just south of the inlet jetty. It’s a great place to watch the boats leaving the intracoastal waterway as they head out to sea. Swimmers will enjoy the 850 feet of lifeguard patrolled beach. The swimming area is somewhat sheltered by the Jetty to the north. Snorkelers enjoy the marine life, including tropical fish, as they swim along the jetty. Experienced snorkelers will venture out to the natural coral reef that is just 50 yards offshore. Beach Surf wheelchair available upon request. The large picnic area consists of 5 stand-alone shelters with tables and outdoor grills. For larger parties, call ahead and reserve the larger shelter. The picnic shelters are tucked away among the preserved dunes. From there you can walk through a cool canopy of gumbo limbo trees and sea grape trees that lead you to the beach. 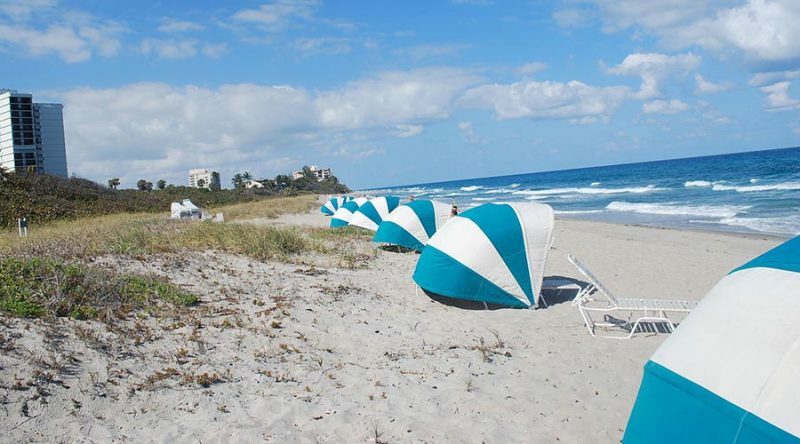 Questions about Boca Raton Beaches? Chris has the answers!